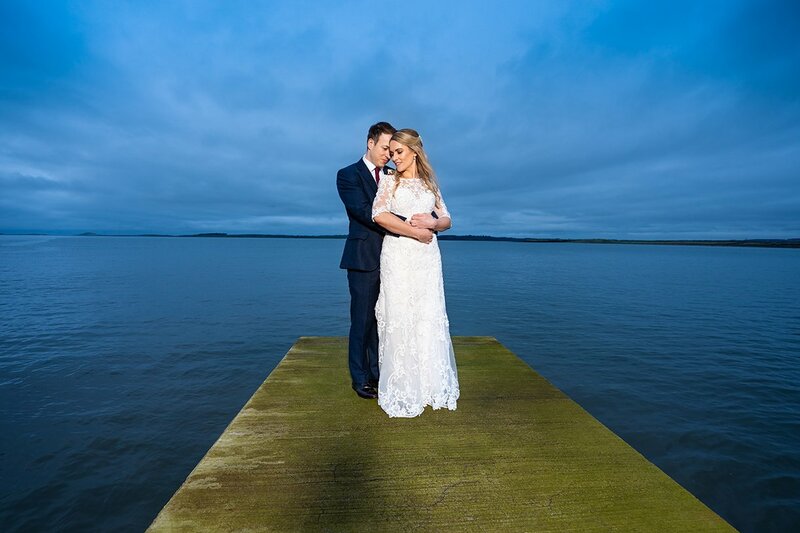 Congratulations to Gabriella and Jonathan who were married in St Church Rosses Point Sligo on the 1st of December 2018 followed by a fantastic Markree Castle Sligo Wedding reception for their families and friends. 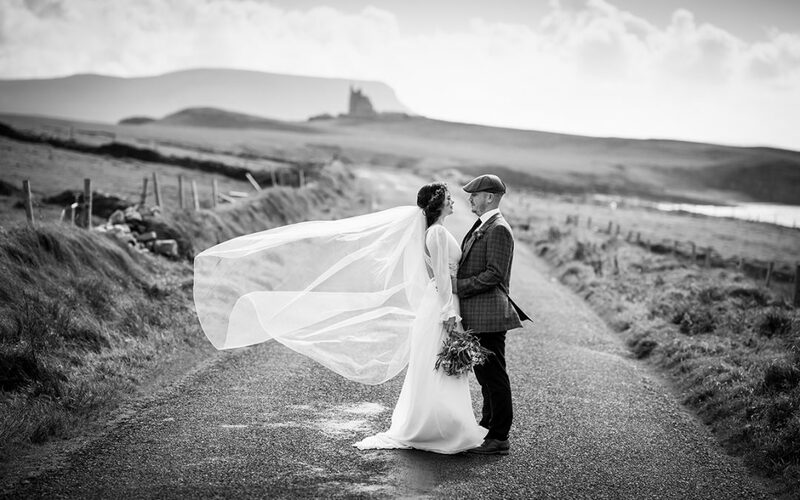 I started my day off with a short spin up to Rosses Point in Sligo where Gabriella and her bridesmaids Deirdre, Denise, Maeve and Jennifer were getting ready. 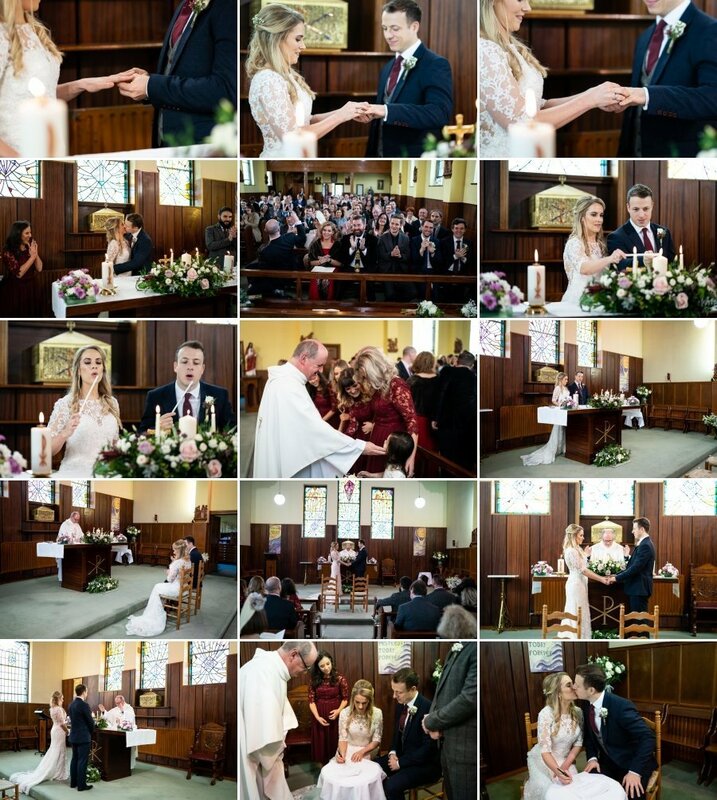 I received a very warm welcome from Mary and Brendan into their beautiful home and was allowed roam free to get the best angles and places for the photos. 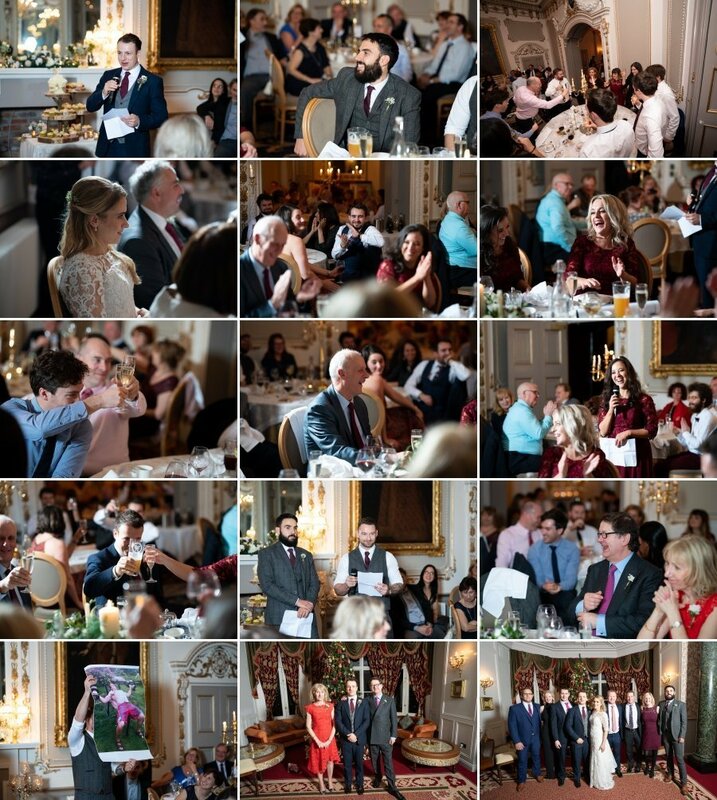 On my arrival the girls were busy with hair and makeup with the hair being taken care of by Deirdre from Salon 2 Hairdressing in Sligo and the makeup being done by the very talented Sharon Mc Cormack. 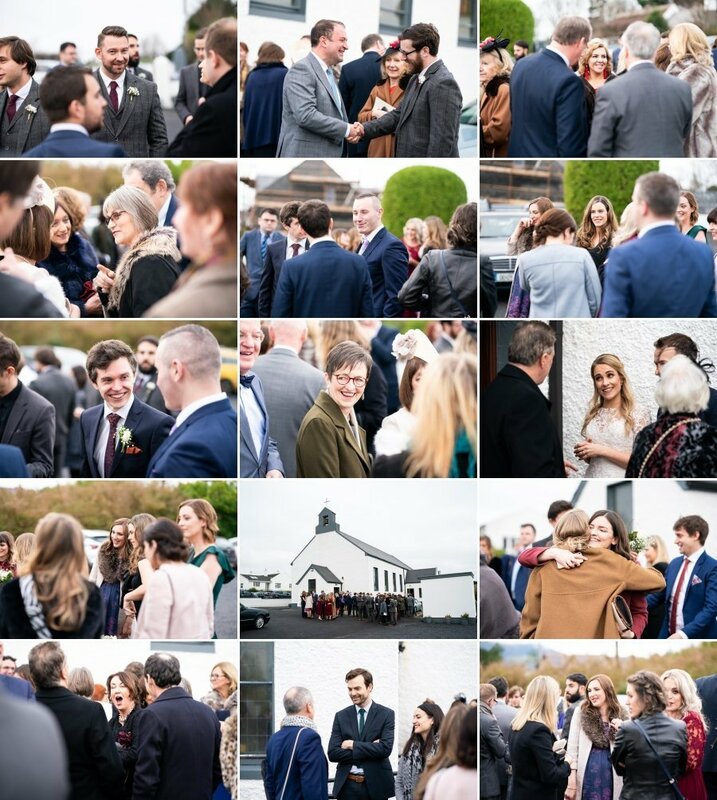 There was a great buzz of excitement in the house and with the weather being really mild and the sun shining brightly we managed to get out to the beautiful garden to pop open a nice bottle of Champagne before the girls got into their dresses. I had beautiful light to work with when I was doing the detail shots as the low winter sun shone through the sash windows and I really love the first photo of Gabriella’s stunning wedding dress by Maggie Sottero which she purchased in Paverly Bridal shop in London hanging in the door way back light by the sun. I also had a great old wooden barrel in the garden to place Gabriella’s wedding bouquet on to get a fantastic photos- the wedding flowers were beautiful and were provided by Olga Clancy from The Flower Shed. 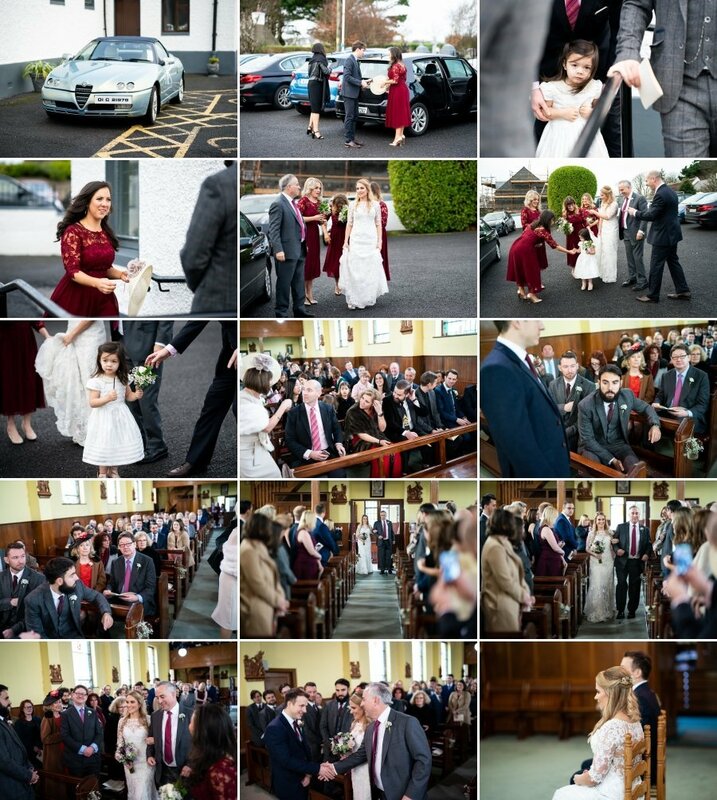 After I got some portraits of the girls I left them to enjoy the champagne while I made the very short drive across to Rosses Point Church where the wedding ceremony was taking place. On arrival at the Church I met up with Jonathan and his groomsmen Thomas, Tim, Ben, Christopher and Christopher who were all busy meeting and greeting the arriving guests and handing out some mass booklets. 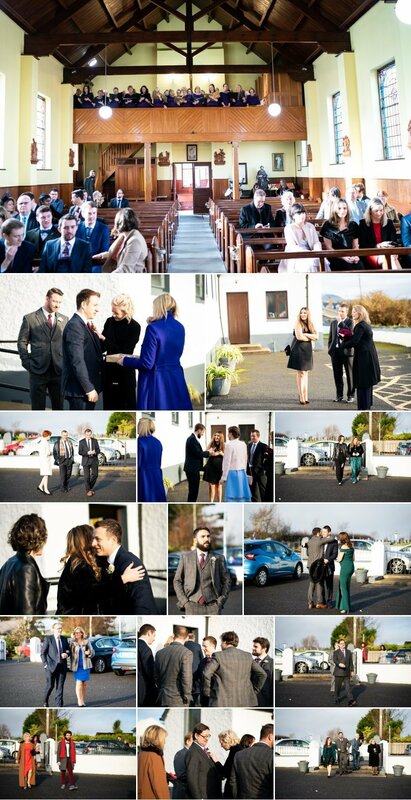 The Church in Rosses Point is small but looks fantastic and is a beautiful place for a wedding. 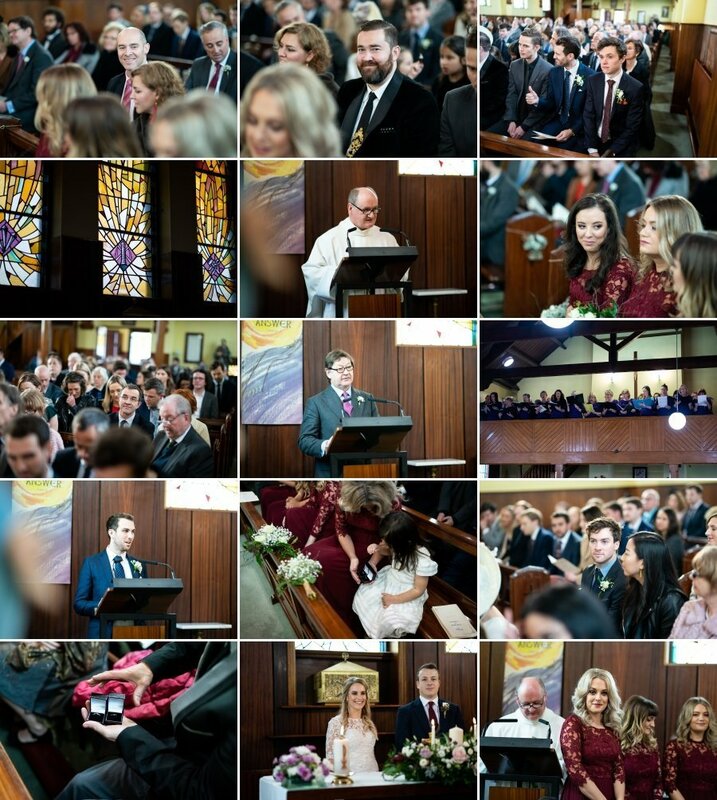 The wedding ceremony was made extra special by the singing of the local choir who had taken over the whole balcony and sang beautifully throughout the ceremony. 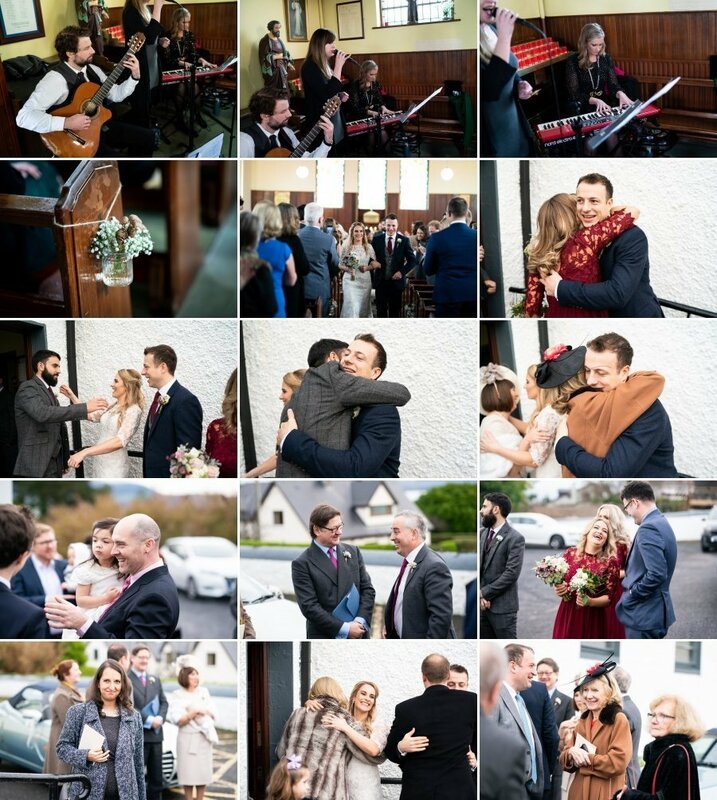 After the ceremony we got some family photos inside the church before making our way to Rosses Point for some bridal party photos. Rosses Point is a spectacular location along the Wild Atlantic Way and offers splendid views of mighty Ben Bulben mountain and panoramic views of Sligo Bay. We worked quickly to get our photos done as in winter light fades very fast and we wanted to get some photos in the gardens of Markree Castle before darkness fell. We arrived back at Markree Castle just in time as the last of the light faded and got some beautiful wedding photos on the steps of that castle and some great photos at the beautiful fountain with the majestic castle in the background. 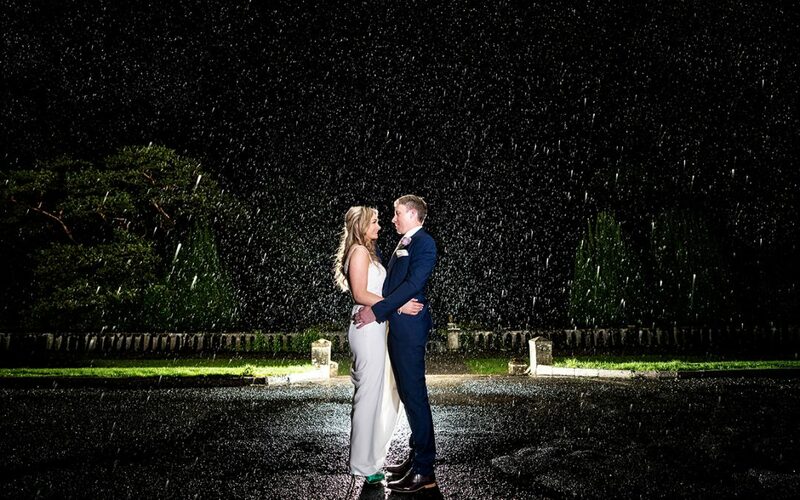 The great thing about being a Sligo Wedding Photographer and having a Markree Castle Sligo Wedding is that even when it is dark or raining the interior of the castle is beautiful and perfect for wedding photos so it’s a place you can relax knowing no matter what the light or weather you will get great photo opportunities. After getting back inside Gabriella and Jonathan had a quick photo with their wedding cake (beautifully made by Gabriella herself) then enjoyed relaxing and chatting with their guests as I spent time getting lot’s of candid photos around the reception rooms. 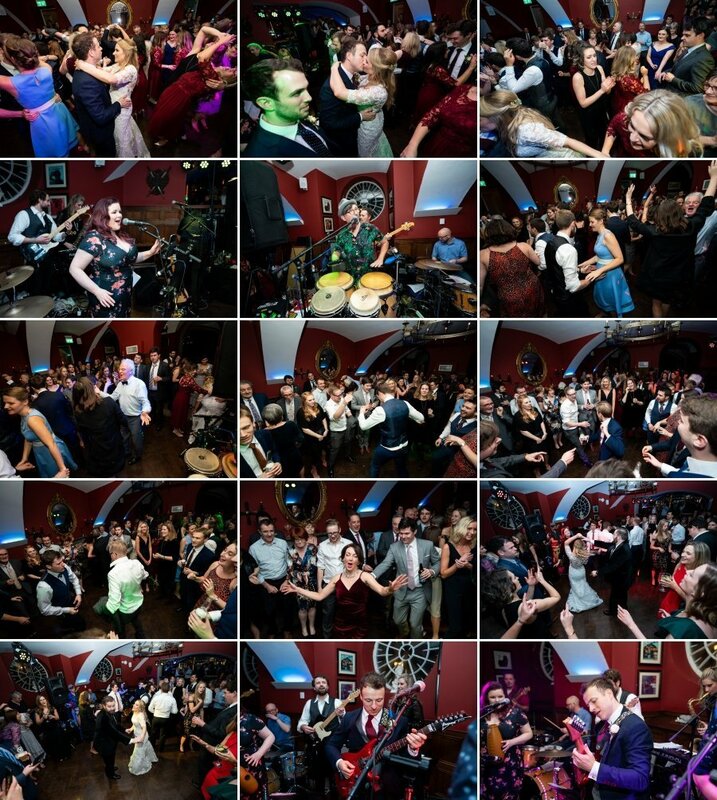 As soon as the meal had finished the guests all made their way down to the lower bar for some drinks and for the party to begin with the band. The music for the evening was provide by The Mass Band and they really got the party started with the dance floor filled from the word go. There was a great surprise when Jonathan got to the stage and started playing guitar with the band- he absolutely rocked it and the guests loved every minute of his performance giving him a huge cheer and calling for more. 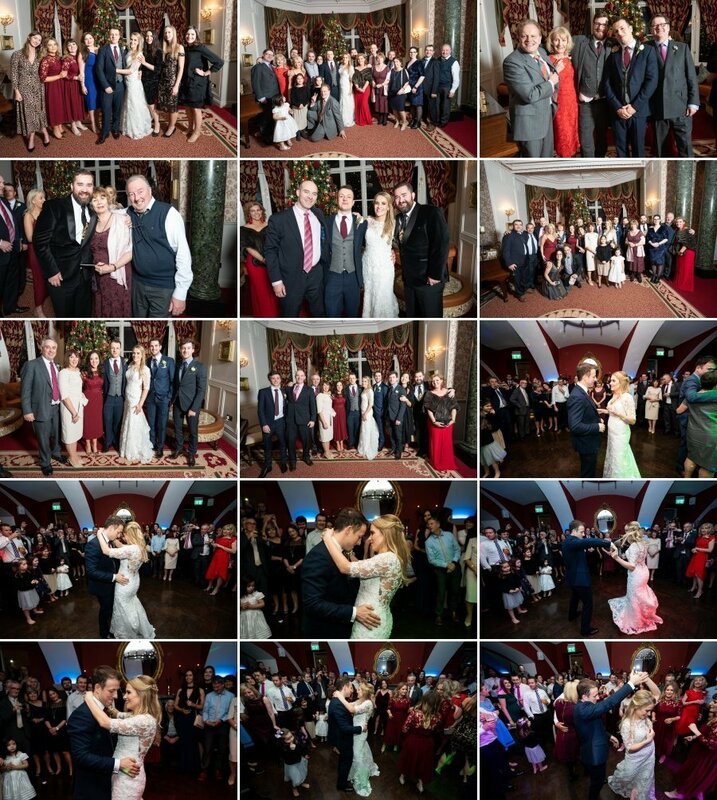 I would like to thank Gabriella and Jonathan and their families for having me as part of their special day and I would like to wish them the very best of everything for the future – below are some of the photos from Gabriella and Jonathan’s beautiful Markree Castle Sligo Wedding – enjoy…. 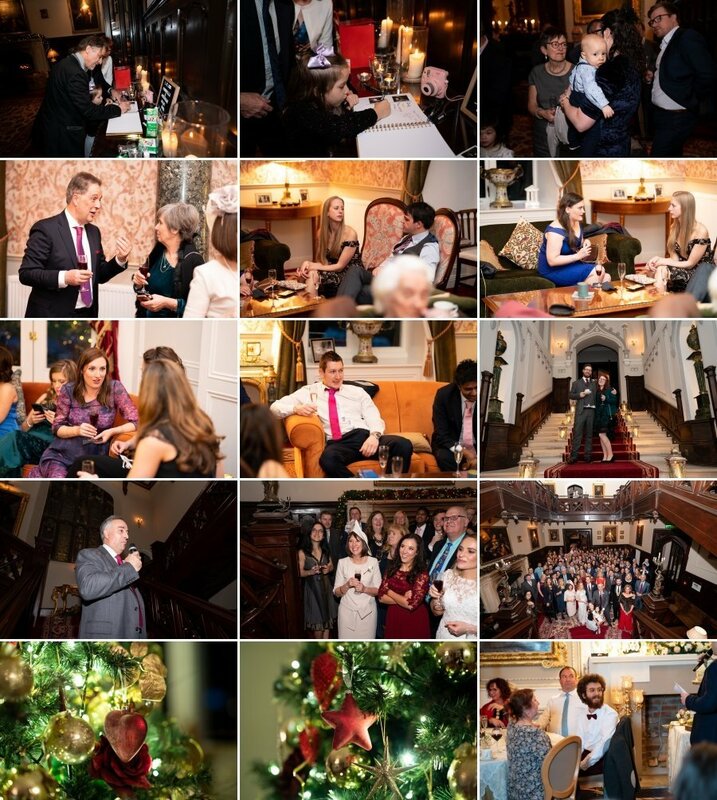 If you are planning your own Markree Castle Sligo Wedding and would like to book Donegal and Sligo Wedding Photographer Fergal Mc Grath Photography for your wedding please use the contact me page of this website to get in touch today.